Iran said last Sunday that Jason Rezaian, a Bay Area native and Washington Post Tehran correspondent held in the country’s notorious Evin prison for more than 16 months, had been sentenced. For what or for how long no one knows because just what he was found guilty of remains as secret as his penalty. News reports said Rezaian faced charges including espionage, cooperating with hostile governments and distributing propaganda against Iran’s system, allegations that are as ludicrous as the sham trial this 39-year-old journalist, raised in Marin County, has endured. The Obama administration has its hands full with foreign crises. Syria’s collapse and the danger of radical Islamic terrorism naturally top the list right now. But the president can’t forget Rezaian. He should use American contacts with Iranians in talks to resolve the Syrian war to get him released as soon as possible. In July, Obama welcomed finalization of a nuclear agreement with Iran by noting the outcome showed how “American diplomacy can bring about real and meaningful change.” But if American diplomacy is really that skilled, it should now be used to get Rezaian out of jail. It’s important to get him out, of course, because he is suffering needlessly. But in getting him released we also signal the United States doesn’t abandon journalists working abroad and demonstrate America still has power in a dangerous region where its influence is fading. Instead, negotiators held “a separate meeting each time during the negotiations” to discuss the American prisoners, the official said. Another problem, as many pundits have noted, is that Rezaian is entangled in a power struggle between hardliners in Iran who opposed Iran’s nuclear concessions and the more moderate government officials like Foreign Minister Mohammad Javad Zarif who negotiated the deal with the blessing of President Hassan Rouhani. “I just don’t know that Rouhani or Zarif can do anything about it,” Haleh Esfandiari, an Iranian American academic held in Evin prison for 105 days back in 2007, told me. “Seriously, this infighting that goes on. And these people who arrested Jason just want to embarrass Rouhani,” she said. These arguments make sense. But it’s still hard to watch Rezaian languish in prison and not prod the U.S. to do more. I worked in the Middle East as a reporter for most of my career and left full-time foreign correspondence in conflict zones in 2011 at a time when it was far less perilous than today. Stengel’s comments make it far more dangerous for me to ever go back. I don’t think he meant it to sound this way. But his poorly chosen words are an invitation to bad actors to kidnap American journalists and bargain with their lives. Some have expressed hope that with the nuclear brinkmanship finished it may be easier to win Rezaian’s release. But Iran recently arrested another American Iranian, a businessman who was visiting a friend in Tehran, bringing the total of known captives to four. Recent reports that a prisoner exchange were possibly in the works — Iran says the U.S. is holding 19 Iranians in detention — have faded. Rep. Jared Huffman, D-San Rafael, who represents Rezaian’s congressional district, worries enough isn’t being done, but doesn’t blame Obama. “You see the most activity around, frankly, some Republican efforts to politicize this as a wedge against President Obama as opposed to a serious effort to address Jason and some other prisoners on its own merits,” Huffman told me. “I think it is important for people in the Bay Area to understand that this is not some Washington Post correspondent that is faceless and nameless. This is a young man who grew up in Marin County,” Huffman added.  Janine Zacharia teaches journalism at Stanford University. She is the former Jerusalem bureau chief for the Washington Post. Spread the word by following #FreeJason and #JasonandYegi on Twitter and sign a www.change.org petition for his release. Encourage American energy, aerospace and Silicon Valley technology companies like Apple eyeing business opportunities in Iran as sanctions are lifted to link any future investment to Rezaian’s release. Tourism is an important source of revenue for Iran. Ask the New York Times why it is marketing a 13-day Iran tour with one of its top foreign correspondents as an expert guide while a fellow American journalist remains jailed. Suggest they publicly suspend these trips while Rezaian remains imprisoned. Journalist Jason Rezaian has been held in an Iranian prison since July 22, 2014. His Iranian-born wife Yeganeh Salehi, also a journalist, was arrested with Rezaian but subsequently was released. She is not allowed to leave the country or work as a reporter. Rezaian spent the first five months in solitary confinement. Over the past 11 months, he has had a cellmate who doesn’t speak English or Persian, so they have no way to communicate, according to his brother, Ali Rezaian, a Mill Valley resident. Jason’s mother Mary has been there for months but wasn’t allowed to attend any of her son’s trial. Mary and Salehi speak to Jason for five minutes by phone twice per week. They see him on Tuesdays for up to an hour but sometimes guards cut the visits short. “He spends all week waiting to see them,” Ali Rezaian said. Jason has some access to Iranian state TV. For a while, the Iranians were allowing books, and Jason’s mother brought him essay and short-story collections — Roald Dahl, George Orwell and Graham Greene. “Now they won’t let him have any new books,” Ali said. “He was allowed to do some exercise, but they’ve cut that time back since the (nuclear) deal went through” in July.